← Community Summit for Capitol Hill Community? 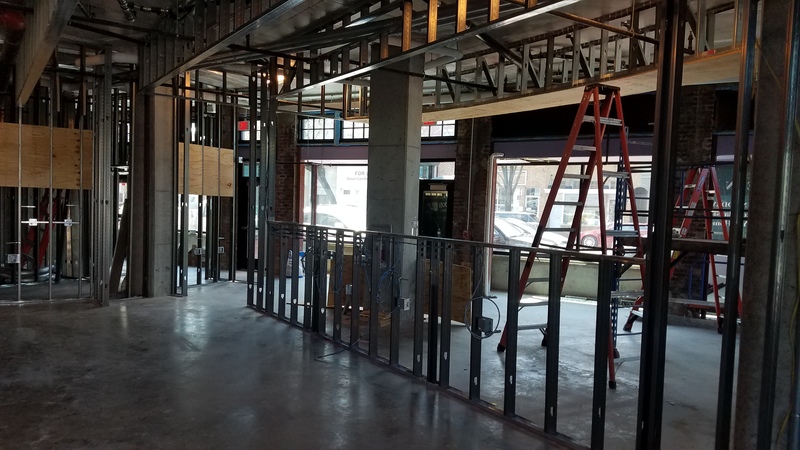 At its March 15 meeting, the Capitol Hill Restoration Society Board (CHRS) announced an unusual special meeting on Tuesday, April 5, to allow for public input on the Hine development. In the 1990s, the CHRS Board had sanctioned its Historic Preservation Committee and its Planning and Zoning Committee reporting directly to the Historic Preservation Office and the Zoning Commission respectively, bypassing the CHRS Board, in the interests of timing and expediency. The Board meets only once a month and interactions between builders and the city occur much more frequently. 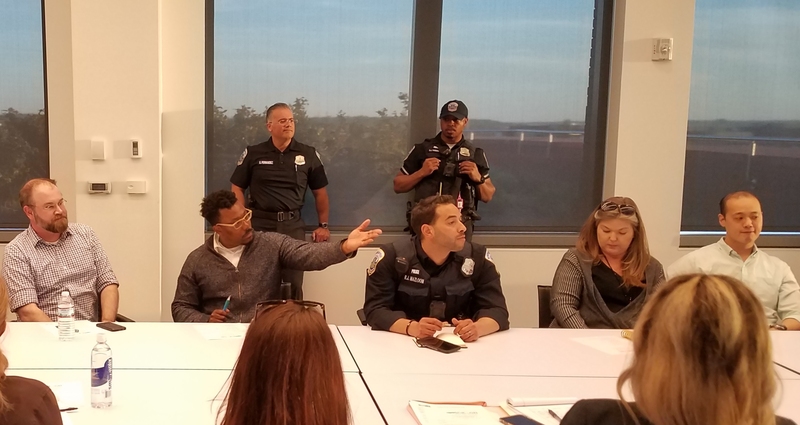 This lends a certain murkiness to the CHRS process, since the CHRS committee meetings, though public, are seldom well attended and are held in a tiny meeting room in the 10th Street building where CHRS has its basement office. The recommendations or reports of the committees are not usually made public until they are filed with the appropriate government agency or reported to the full CHRS Board. In addition, the membership of the committees or even their number is not made public on the CHRS website. Even if one does attend the public meetings, the process can still remain obscure. For example, at the March 15 CHRS Board meeting, when Metzger reported to the Board on the Historic Preservation Committee, she made no mention that the Committee had heard a presentation from Stanton Development on Monday, March 7. Instead, Metzger said she “would be sending emails to the board members with an update.” She announced that the Historic Preservation Committee was planning to put information on its website on the Historic Preservation Review Board to “answer questions people might have and to help members,” but that has not happened as of this morning. Emmcablog has been the only news organization to routinely cover the Board meetings in recent months. The importance that the city accords CHRS recommendations lends its lack of transparent process more problematic. Knowing the potential influence of CHRS findings, developers often end up working closely with a small number of CHRS Board members whose voice ends up being heard by the City Council as representative of the 1,000 member Society when often the Board has had no consideration, input, or debate on an issue. 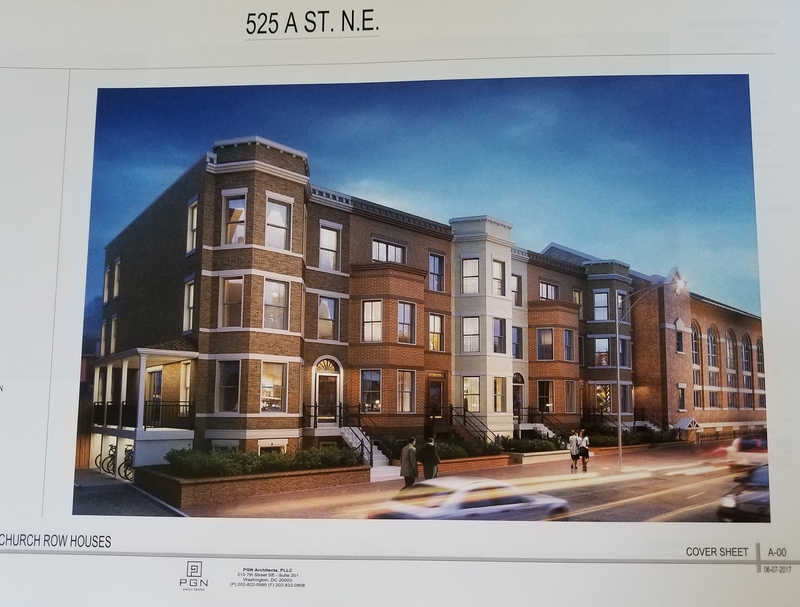 At a recent meeting, ANC Commissioner Brian Pate seemed to suggest that the CHRS had been influential in Stanton’s decision to move Hine project massing from the 7th Street side of the project to the 8th Street (residential) side. This move has met with considerable criticism from immediate neighbors to the project on 8th Street. The special CHRS meeting on Hine will be on April 5, from 6:45pm – 8:30pm, at Maury Elementary School, 13th and Constitution Avenue, NE (entrance on 13th Street). Stanton development will make a PowerPoint presentation on what is likely to be the final version of the drawings they will submit to HPRB for consideration. Any member of CHRS – and I am one of many – may attend and make their views known. What is less clear is whether and how those views will be reflected in the official pronouncement from the CHRS. Apologies that this was not sent to the entire board, but I’m hoping Gloria will forward it to those Board members whose email addresses I don’t have. The Hine project will have a profound effect on our community for as long as any of us live here – and beyond. I’m hoping the process by which CHRS considers Stanton’s Historic Preservation Application (HPA) and Public Unit Development Application (PUD) will be as inclusive and transparent as possible. I know that the PUD will be considered by CHRS’ Planning and Zoning Committee in – possibly – several public hearings, initially featuring a presentation by the developer. But that will not occur for some six months, and possibly not for a year. The recommendations of the CHRS Board are considered by the City Council to be the voice of the some 1000 members of the Society. I think it would be wonderful if that were actually the case and the CHRS Board would hold a well-publicized, open, easily accessible hearing on the HPA and the PUD in addition to the Committee hearings, to inform the membership. Certainly the scale and relative importance of the Hine development warrants an open process and a clear explanation to CHRS members. A regular membership meeting or a special meeting would be an appropriate venue. 1. To hear the Board explain the process by which the HPA and PUD for the Hine project will be considered by the Board, as well as the standards by which these applications will be – or have been – evaluated. 2. To provide an opportunity for the developers to make a presentation to the membership and to answer questions. 3. To allow the Board to hear the concerns of the membership and to craft appropriate recommendations within historic preservation and zoning guidelines, considering the concerns of the membership. . In addition, although the practices of the CHRS usually permit the recommendations of the Historic Preservation Committee and the Planning and Zoning Committees to stand as the recommendations of the Board and the Society, I would urge the entire Board thoroughly consider, discuss, and vote on the Committee recommendations in open public meetings. Also, given the importance of the project, I hope that the Board will post the reports of the Historic Preservation Committee and the Planning and Zoning Committee on the CHRS website, and make them public as soon as the Committees file their reports with the Board. This project is too important to not have maximum transparency, inclusiveness, and accountability. As I have discussed in the past, the process followed by a previous CHRS Board in the endorsement of Stanton/Eastbanc as the developer for the Hine property was not inclusive or transparent. I hope the current Board will not compound that error as the process moves forward. Gosh, is this not an eye-opener! Like many I’m sure, I’ve always trusted that the CHRS acts in the interests of the community – as a whole. But now the Hine development has galvanized so many of us (who have probably never paid much attention to the crucial minutia of planning permits etc) CHRS is clearly going to be held accountable. In the most “transparent” of ways. Bravo, Larry – for putting this part of the Hine process in the spotlight. I’m so surprised you could knock me over with a feather! Hardly. It shouldn’t shock anyone that CHRS operates behind closed doors using their influence to force change (or prevent it) in the direction they want. What a major conflict of interest the Metzger’s have too, but, sadly, I’ve know about this pseudo-nepotism for several years. You’d think one of the two would recuse themselves. Instead they have a tag team effort to ram their initiatives through. If this situation changes, it will only be because CHRS members demand that it do so. Sadly, I think this is very unlikely. Unless and until more transparency comes to CHRS, it is incumbent upon the rest of us to diminish the organization’s influence with the city. It would be so much better for everyone is the CHRS just became a more inclusive and transparent group! It’s a loss to the neighborhood if CHRS’ stature is diminished; on the other hand, it is unacceptable for the situation to persist as it is. Thank you, thank you, for bringing this critically important issue to light. And, yes, Eric, Norm Metzger’s failure to recuse himself from cases in which his wife testifies is simply disgraceful. I am seriously considering contacting the DC Elections Board for a ruling on his behavior since I have a case that may be coming before the ANC soon. Of course, Norm is not the only offender vis-a-vis the CHRS. Kirsten Oldenburg sits in on CHRS Historic Preservation Committee meetings AND deliberations, a privilege not extended to the general public. She also regularly attends HPRB meetings with Nancy. It’s a very small and self-referential group. Please note that there absolutely IS something that you can do. The CHRS elections are coming up. Please consider running (or supporting a reform candidate), spreading the word about their outrageous behavior to your friends in person and through neighborhood listserves, and starting to chip away at the insular and oblivious CHRS leadership. They are truly an albatross around the neck of the neighborhood. CHRS is not some secretive organization, conspiring behind closed doors. Their meetings are open to the public, and I would invite any one who hasn’t attended a CHRS board meeting to do so. CHRS committee chairs and members are knowledgeable about the issues they discuss and vote upon; these meetings are also open to the public. So CHRS is indeed transparent to those who are willing to take the time to attend their meetings. CHRS is also inclusive, in the sense that it doesn’t cost much to become a member. I certainly don’t feel that CHRS is an albatross around the neck of the neighborhood. I feel the opposite. CHRS was instrumental in the creation of the Historic District. Historic Districts often become “destination neighborhoods” because of their distinctive historic style. Not many places in the US can boast of a couple of square miles of mostly uninterrupted architecture from a century ago or longer. This is one of the reasons Capitol Hill is such a great place to live. But historic districts need to be kept that way, or they lose their character. The CHRS committees work to maintain that character. I congratulate CHRS for what they have done and are doing. I disagree with you. Capitol Hill is a great place t live b/c of the people, proximity to restaurants/entertainment and easy access to metro/public transportation. The buildings, while beautiful, were not the reason I rented and later bought a home here. Furthermore I find the notion that without historic preservation every home would be altered unrecognizable or torn down for multi unit condos. Preservationists love to scare people into thinking without historic preservation neighborhoods will disappear. Yet, most of DC is not designated historic and I walk down many many blocks on the outskirts of the Capitol Hill historic district that have little to no alterations done their homes. Tell me again why I should have to pay money to have a voice in my community? Ridiculous. Eric, you are right about proximity to restaurants and other amenities, and certainly about the people. I’ve made a lot of friends on the Hill. As you say, you didn’t buy a house because of the architecture. But when people started moving back to the city, once Tony Williams replaced Marion Barry as Mayor, they chose Capitol Hill in preference to most other parts of the city, even though many other parts also have good transportation. That had to do, in part, with the sense that Capitol Hill was a pretty special place. In turn, that sense of identity, of “branding,” was partly because of the historic district. In 1998, the Hill had very few good restaurants, we had to drive to eat the kind of food we walk for now. The large number of new restaurants reflect the wealth of the new residents since 1998, they weren’t an attraction per se until more recently. So it wasn’t the restaurants that drew people here after Tony Williams became Mayor, it was the nature of the Hill itself. Historically the Restoration Society has not acted in the interest of the community. It has been dmonated by corrupt developers like Kitty Kaup. Spelling aside, what do you find “corrupt” about Ms. Kaupp?